Have you ever been intimidated to “join as you go”? There’s no fear here! 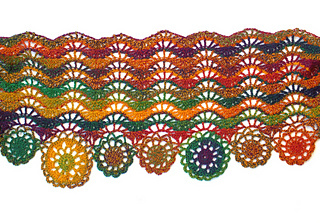 In this CAT you will learn how to join motifs “as you go” for a seamless finish! 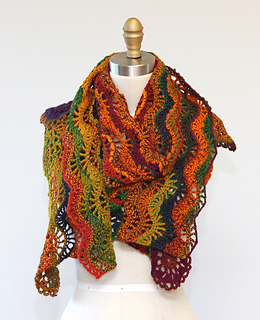 This bright and fun wrap has a lacy ripple body that is also connected “as you go.” It’s a thrill to watch the colors change and the various stitches keeps things interesting. Pick up your supplies and join us August 3rd! Feel free to stop over and introduce yourself in the Skacel Group where the CAT will be hosted! Be sure to add this project to your library to receive updates as they go live! The hook size for this project is 3.75mm. US sizes vary from brand to brand, just like sizes of pants from store to store. While addi® calls a 4mm a US ‘F’, other companies may call it something else as there is no US convention for sizing. When in doubt, always refer to the millimeter size.